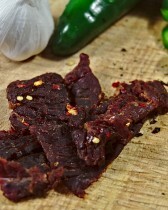 Perfectly marinated brisket Jerky that provides the traditional Carne Asada flavor.Gourmet Beef Jerk..
A sweet delight matched with the taste of apple woods smoked flavor. Imagine the taste of a st.. 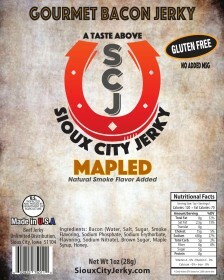 This bacon jerky is engulfed with the perfect amount of Maple flavor. 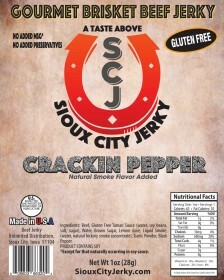 For those that love to p.. 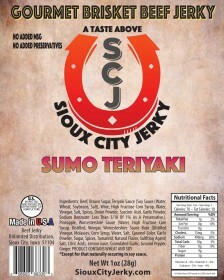 The taste of pepper dances in your mouth, providing the ultimate taste of pepper for the pepper love..
For those who love the teriyaki flavor, this will throw your expectations out of the ring.Gourmet Be..
A gentle flavor building to an unexpected delight of fire in your mouth. Gourmet Beef Jerky made in the USA. This product has been purchased 29 times. 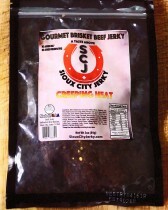 The Fiery Sriracha flavor that everyone loves mixed with a sweet smoky BBQ flavor.Gourmet Beef Jerky.. 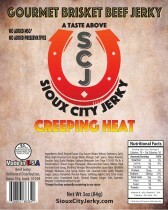 The sweet mango taste coats your mouth and as you chew the flavor of the respected Habenero creeps..
A succulent taste of smoked BBQ like it was just pulled out of the smoker.Gourmet Beef Jerky made in..
To fight off the cooling temps we have combined our hottest jerky into a Holiday Heat gift pack to k..
We are an independent Gourmet Jerky maker located in Sioux City, Iowa. 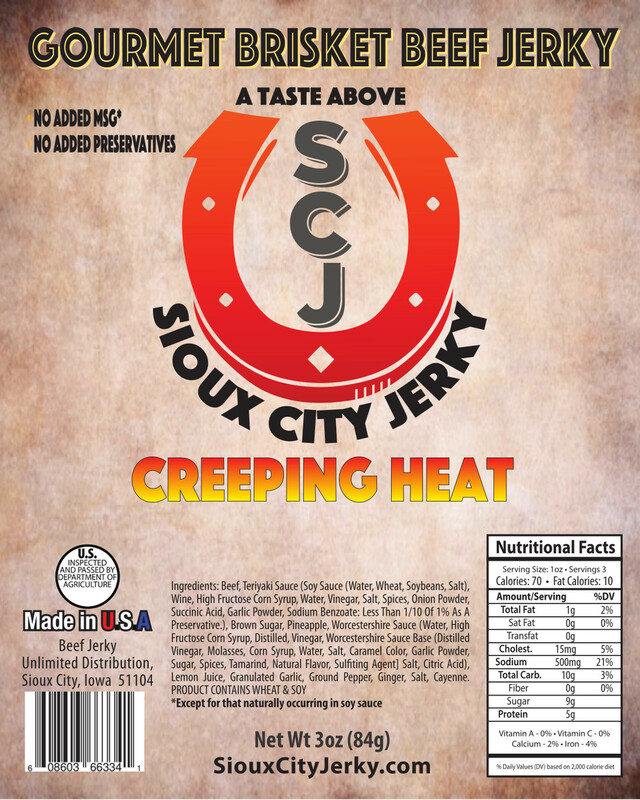 We are proud to be a made in the USA jerky producer and offer both beef & bacon jerkies in 16 flavor varieties. 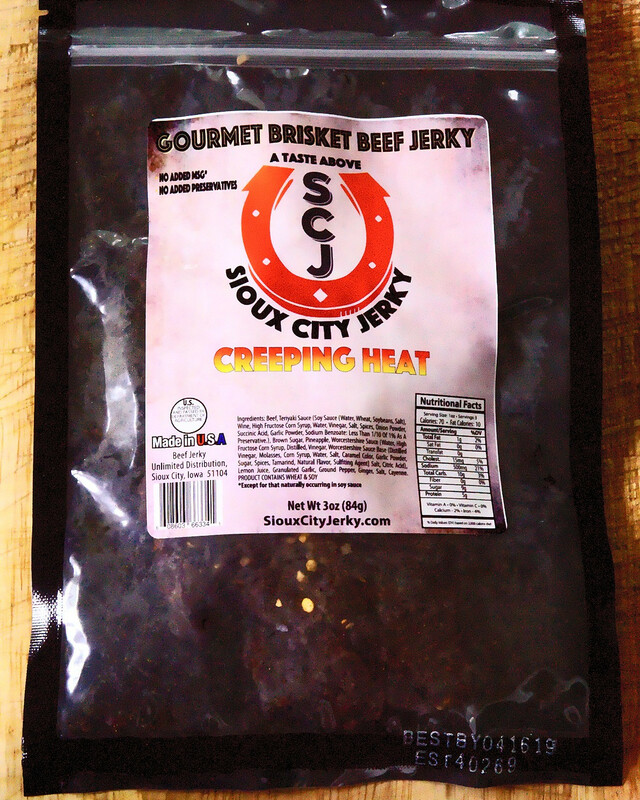 We will ship our gourmet jerky direct to your door. 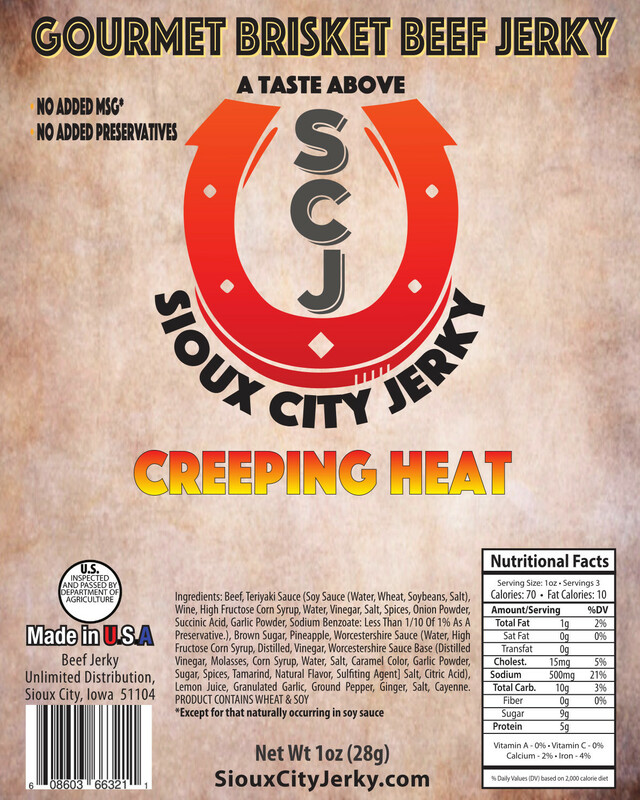 So we welcome you to try a piece of Sioux City Jerky and we know you will enjoy every bite.